Cass and Hiro, Robert Callaghan and Abigail. Big Hero 6. 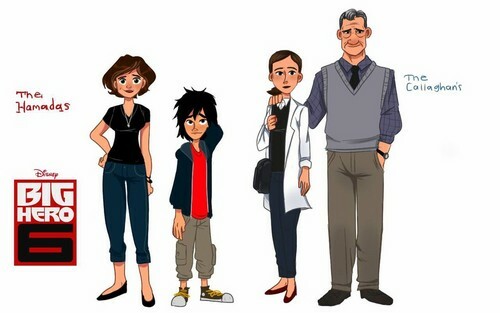 HD Wallpaper and background images in the Big Hero 6 club tagged: photo big hero 6 hiro baymax cass professor robert callaghan abigail callaghan disney 2014 animated film. This Big Hero 6 fan art contains gut gekleidete person, anzug, hosenanzug, pantsuit, geschäftsanzug, and business-anzug. There might also be anzug, anzug der kleidung, hosenbein, pantleg, slack anzug, slack suit, and schlaff anzug.